Please join me for a free concert next Sunday at the Ekta Mandir temple in Phoenix. This will be quite an experience with a mix of students and masters of Indian music. 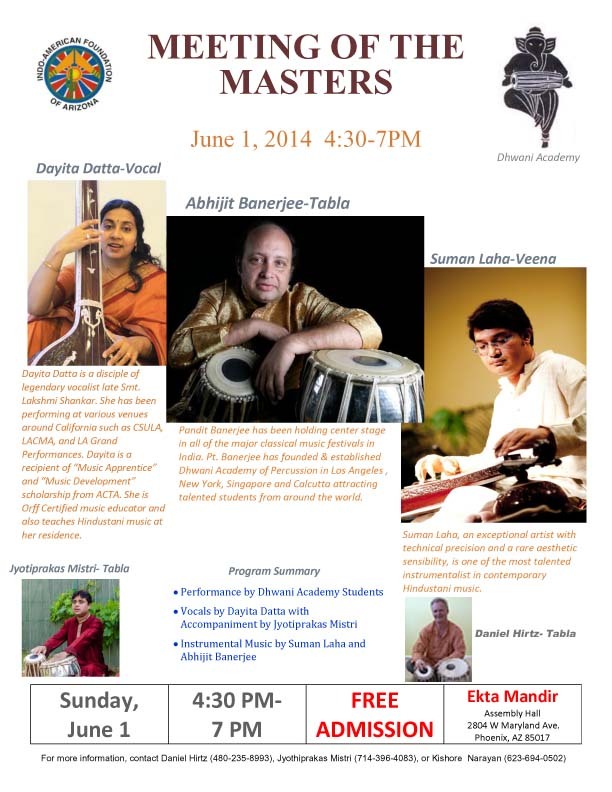 I will be performing a piece with combining didgeridoo and tabla. See you there! Daniel has a gift and is a gift! I so appreciated the connection and education he shared with us in circle. Daniel is a master teacher, with deep expanded insight, innumerable talents, and whit! Daniel is a master breather... in ways most never imagined... techniques to enhance your life! He is a very good man (and I say that having known him for more than 25 years). He is very kind and an amazing teacher❣️I truly enjoyed learning to drum with Daniel. Excellent musician, speaker, and human.